Senior Hamas leader and Palestinian MP Mahmoud Al-Zahar said yesterday that people linked to Fatah have been trying to drag Gaza into a war with Israel. Speaking in an interview with Palestine Today TV, Al-Zahar said: “These people are trying to drag the Gaza Strip into a battle with Israel by launching rockets against the national consensus,” Al-Watan Voice reported. 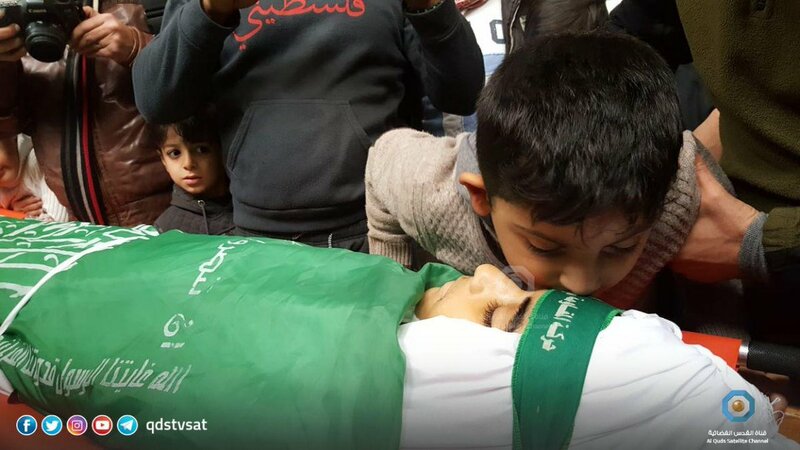 The Hamas leader said that the Palestinian resistance in the besieged Gaza Strip follows Israeli violations of the ceasefire closely, stressing that it would never wait too long to respond to these abuses. Israeli television said on Wednesday that US President Donald Trump’s Middle East peace plan would propose a Palestinian state on as much as 90 percent of the occupied West Bank, with a capital in East Jerusalem – but not including its holy sites, reports Reuters. The Trump administration has said publication of the plan, kept closely under wraps, could be months away, and cautioned against speculation about its contents. Citing what it said was a source briefed by the Americans, Reshet 13 TV said the plan would entail Israel annexing Jewish settlement blocs in the West Bank while isolated settlements would either be evacuated or their construction halted. Trump wants the proposed Israeli moves to be supplemented by territorial swaps with the Palestinians, and for East Jerusalem’s walled Old City – site of major Jewish, Muslim and Christian shrines – to be under Israeli sovereignty but with the joint management of the Palestinians and Jordan, the report said. It said that “most Arab neighbourhoods” in East Jerusalem would be under Palestinian sovereignty as a future capital. Israel calls all of Jerusalem its “eternal and undivided capital”, a status not recognised internationally. The Palestinians want East Jerusalem, including the Al Aqsa mosque compound in the Old City, as capital of a future state. The report made no mention of the fate of Palestinian refugees, another core dispute in the decades-old conflict, or of how the Gaza Strip, which is under the control of Hamas Islamists opposed to peace with Israel, might fit into the plan. In separate remarks to reporters, Israel’s ambassador to the United Nations, Danny Danon, predicted that the Trump plan would not be released before an Israeli election on April 9. Opinion polls predict an easy win that would secure a fifth term for Prime Minister Benjamin Netanyahu, a rightist whose US-sponsored peace talks with Palestinian President Mahmoud Abbas stalled in 2014. Despite the extreme weather conditions, the Israeli occupation demolished on Thursday morning ten Palestinian homes in the occupied Jordan Valley. While it is raining, the Israeli demolition of the Palestinian homes turned several Palestinians homeless, including women and children. Israeli occupation forces demolish Palestinian homes and turn tens of Palestinians homeless, including children and women on a daily basis. They demolish the Palestinian homes under the pretext of building without licenses or plans to develop the areas where the Palestinian homes are built. Meanwhile, the Israeli occupation authorities have been working hard to build settlement units for illegal Israeli Jewish settlers in the occupied Palestinian territories. Health ministry officials in the Gaza Strip have warned that the serious fuel shortage for hospitals and health centres threatens the lives of hundreds of patients in the besieged enclave. Ministry spokesman Ashraf al-Qidra said that the amount of fuel in stock will only be enough to keep the power on in the hospitals for between two and five days. It would have run out in November, he added, if the ministry had not taken hurtful emergency steps to save fuel. A grant from the UN to provide the Gaza Strip’s hospitals with fuel needed to power the generators which switch on when power cuts off 8-16 hours occur every day has run out. There are at least 800 patients with kidney failure who need dialysis three times a week and depend on electricity for this. No fuel for the generators puts their lives at immediate risk. Furthermore, there are around 120 premature babies in incubators as well as nearly 100 patients in intensive care units, all of whom depend on a constant electricity supply. Al-Qidra explained that a lack of fuel will also affect routine daily medical services, including thousands of laboratory tests, operations for hundreds of patients, and an average of 150 Caesarean births. The Gaza Strip has 13 government hospitals and 53 health centres which require 300,000 litres of fuel every month to operate their generators. Al-Qidra pointed out that the health ministry in Gaza has communicated with local, regional and international organisations, including the Palestinian Authority in Ramallah, but has not received any response or assurances from anyone concerning the crisis. Neither the PA nor the Ministry of Health in Ramallah replied to the request for a comment on Al-Qudra’s statements. Just hours before his scheduled release, Thursday, a Palestinian political prisoner, held by Israel, received an arbitrary Administrative Detention order for six months, without charges or trial. 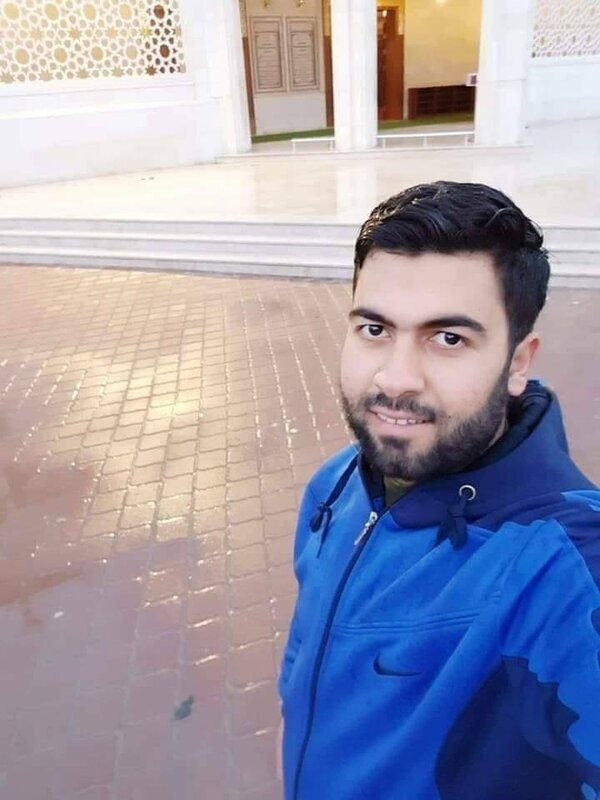 The Palestinian Prisoners’ Society (PPS) has reported that the detainee has been identified as Sameh Mohammad Kamil, from Qabatia town, south of the northern West Bank city of Jenin. The PPS added that Kamil, who is currently held at Majeddo Israeli prison, was supposed to be released today, Thursday, after serving a prison sentence of three months. He was taken prisoner in October of last year. Many detainees spend months, while others even spend years, due to being held under repeatedly renewed Administrative Detention orders, without charges or trial, due to what the military claims to have a “secret file” against them, requiring their continued imprisonment. Neither the detainees held under Administrative Detention, nor their lawyer, have access to the alleged secret files. 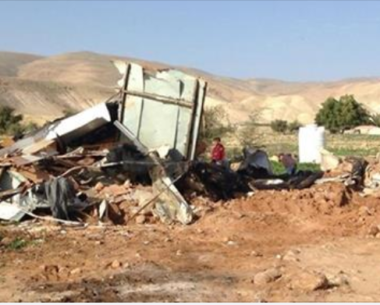 Israeli soldiers invaded, on Wednesday morning, Fasayel Palestinian village, north of Jericho city in the occupied West Bank, and demolished a residential shed. The soldiers surrounded the small community before invading it, and demolished a residential shed, owned by Abdul-Hadi Obeyyat, allegedly for being built without a permit. The owner said that he received the demolition order four months ago, before he hired a lawyer, but the soldiers demolished the 30 square/meter shed, although the case is still in Israeli courts. The Palestinian and his family were rendered homes as a result of the demolition. In related news, the soldiers closed the main entrance of Azzoun town, east of the northern West Bank city of Qalqilia, by closing the iron gate of the illegal Annexation Wall and prevented the Palestinians from entering or leaving it. It is worth mentioning that Azzoun is surrounded by the illegal Annexation Wall, five iron gates, surveillance cameras, roadblocks and six colonies. Israeli soldiers abducted, on Wednesday at dawn, six Palestinians, including three children, in Jerusalem and Bethlehem governorates, in the occupied West Bank, after the army invaded many homes and violently searched them. The Bethlehem office of the Palestinian Prisoners’ Society (PPS) has reported that the soldiers invaded Teqoua’ town, east of the city, searched homes and abducted Hazem Abed Sabah, 18, Mohammad Khaled al-‘Amour, 15, and Mohammad Hashem Sha’er, 32. It added that the soldiers also invaded and searched homes in Husan town, west of Bethlehem, and abducted Ibrahim Khaled Hamamra, 20. Furthermore, the soldiers invaded and searched homes in Beit Fajjar town, south of Bethlehem, and interrogated the families. 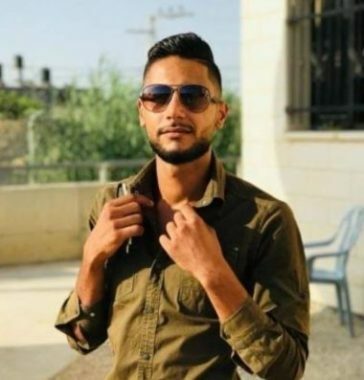 In occupied Jerusalem, the soldiers invaded Qalandia refugee camp, north of the city, searched homes and abducted two children, identified as Omar Zayed and Mohammad Hammad. It is worth mentioning that the army said that its soldiers have arrested ten Palestinians, in several parts of the West Bank, in addition to confiscating six lathe machines, in the northern West Bank city of Nablus, allegedly used to manufacture weapons, and 10.000 Shekels from a few homes. 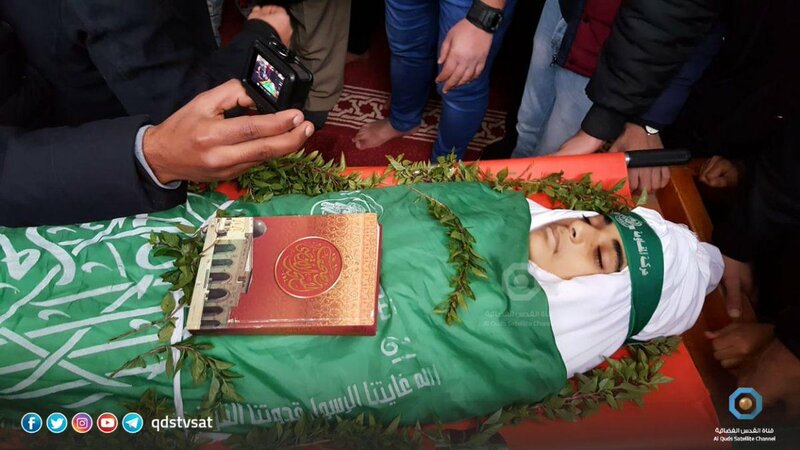 Two members of Hamas armed wing, the al-Qassam Brigades, have died of injuries suffered in accidents. Hamdi Abed al-Karim Hijazi died on Wednesday January 16th from injuries suffered in ‘accidental explosion’ last week. Ahmad Samih al-Fayumi(20) died on the morning of Thursday January 17th from injuries he had suffered ‘in a gun accident during a mission’. PHOTOS: Palestine Information Center and Shehab News Agency.